Hello food lovers! My travel journey started in this small cute cafe, namely Hokkaido Dairy Farm. I spotted this cafe when my taxi passed after I landed in Hong Kong =p Since it is near from my hotel in Mong Kok, thus I did search some search about this cafe. The place is small, but cute. The decoration is simple, dominated by blue-white colour, and it makes you feel like you are eating in a small barn. From the outside, the cafe is just like a small blue house, which is my favorite colour. It is beside The PHO restaurant. Japanese curry rice is their signature dish. There are also breakfast set menu and honey toast. If you go for breakfast, you can try their breakfast menu. Although I came here for dinner, mostly the customers ordered their big breakfast menu and honey toast. As for me, I ordered Beef Bowl Rice, Fish Katsu Curry, and Hamburg Steak Curry. All of these dishes are set with drink (choose between lemon tea/juice/milk tea). I like the deep-fried fish (red snapper fish) since it does not have fishy smell. As for the rice, this is a Japanese rice. Chewy texture, me love it! However, I don’t like the curry’s taste since it is different with the authentic Japanese curry’s taste. The steak is good, tender, and beefy. The meat is also good if you add the curry. I think the taste of curry is more suitable with the beef meat rather than fish or chicken. Moreover, you can try this cafe since you will never get to try it in Indonesia. All of stores started with “Hokkaido” always sell cheese tart and desserts. 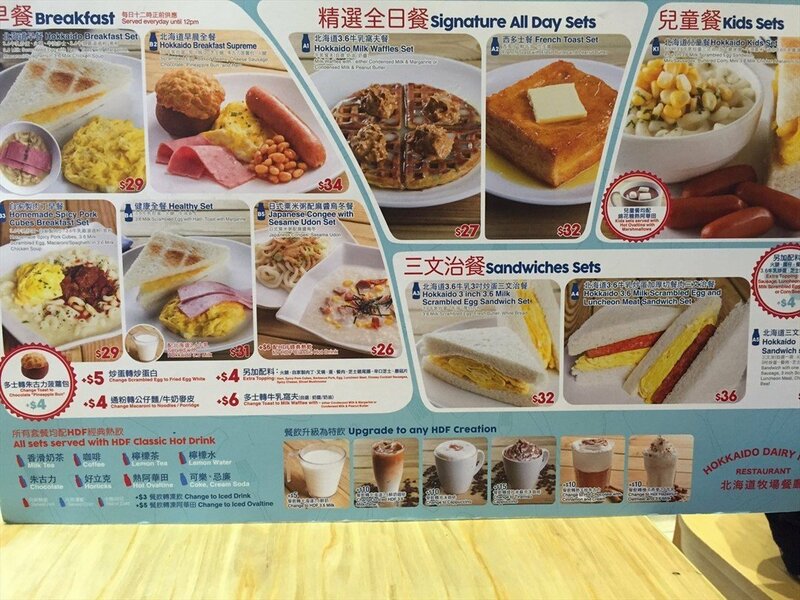 In Hong Kong, you can try the breakfast menu, honey toast, and curry rice. Stay tune for my travel journey in Hong Kong. Don’t forget to visit Sociolla.com and get more discount and free deliver with my promo code SBNLAF8Z !